As some of you know, I'm big on natural medicine. One of my favorite things to play around with are oils, whether essential or otherwise. I find the various properties interesting. I like to find all the research that's been done and dig in deep. While a part of me does think it's somewhat girly, I tell myself that it's about the health benefits, and not the pretty scents. I figured it's only right that I should review these oils here. Scent: Light and (naturally) flowery. Not as strong a scent as lavendin (a hybrid) and the two should not be confused. Medicinal Properties: In a diffuser or a bath it is very relaxing. In a blended oil it can be used as a muscle relaxant. Though you shouldn't take any essential oil internally without proper instruction, lavender has been shown to aid in digestive disorders. Flavor: While lavender is used in cooking and is a key part of Herbs de Provence, the oil has a rather bitter taste that will stay with you. Warnings: In general you shouldn't play around with essential oils unless you know what you're doing, and pregnant women and children should not use them at all. 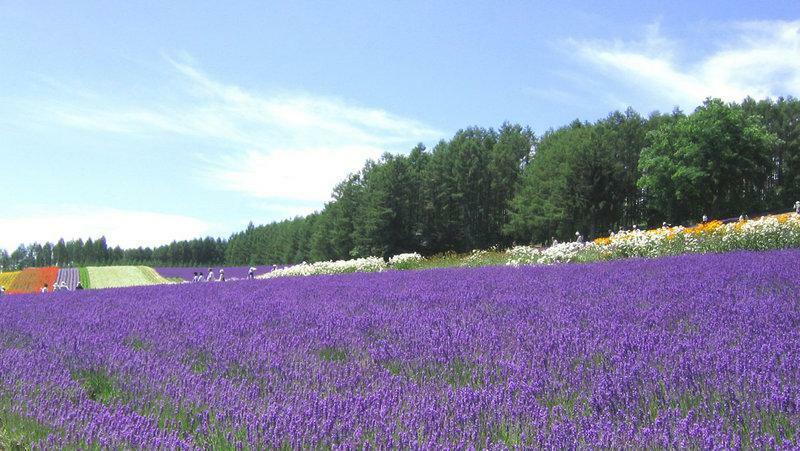 In the case of lavender, allergic reactions, some serious have been known to occur. Obviously you shouldn't use if you're allergic to the plant. Always make sure the oils are 100% essential oil, otherwise you might end up with chemicals that can be harsh. This oil is one of my favorites for use in an oil blend (peppermint, lemon, and clove, with a grape seed base, is especially nice). It can take a crick out of the neck like no one's business. And while I initially had a reaction to it (runny nose, sneezing) that was when I was still learning proper techniques for using oils. I have since had no such reaction. If you want to try it yourself, get a base oil like coconut, olive, almond, or anything else that's gentle, then mix a few drops in. Roughly 3-4 drops essential oil for every teaspoon of base oil. Kristy at This Trains Of Thought Has Been Derailed says you can use it as flea repellent on your pets! Yep. I use a blend with bay oil, lemon oil, and oregano oil for all kinds of pest problems. I mix it up with some rubbing alcohol and water for an air freshener that's also a good disinfectant. Hell boy, we finally found a use for you after the apoclalypse. You can be our medicine fella. Actually I meant to mock but that is actually pretty cool knowledge to have that is more practical than the 'McGyver Field Manual' and the 'Hardy Boys Detective Guide' that I keep memorizing. I love me some lavendar! I finally broke down and bought a plant just because I want to open my windows and smell it. I like to put lavendar oil and water in a spray bottle and spritz it on my bed in the summertime... just in case the cats get fleas, but also because it smells good. The smell is supposed to help you sleep too isn't it? We just planted some lavender in the back yard, and next to Gardenias, the smell is the best. That picture you posted is awesome, gorgeous. Lavender's my favorite oil. (In fact, I mentioned lavender body lotion in my recent post.) Love the color too. Nice post. Well now I can come to the Oil Man instead of having to slog around the internet. That is good info. And after the apocalypse you WILL be our medicine man! Now that is what I call... aroma shock therapy.... Are you yankin my chain with this TS? So like before I quit work to stay at home and raise humans...I owned a little place called... Sandalwood Day Spa and Herbal Bath Apothecary. Yep, I was just as long winded and in need of an editor then, as I am now. Anyway, lavender was a staple and a great and versatile choice for any beginner. I really like lavender oil. I have one of those masks filled with lavender. You put it over your eyes when you have a nasty headache, and it's so soothing. When my friend gave it to me and told me this, I thought "horseshit" (but didn't say anything). Looks like she was right. It really DOES work. Cal & Chuck, In upcoming editions, I'll tell you which oils will help you survive the apocalypse. Kristy, It's great isn't it? And yes it does help you sleep since it depresses the central nervous system. Joe, not my picture, I pulled it from the wiki commons. But yeah it is pretty. Mainland, it's really fascinating and fun stuff. Great hobby. Cotton, I figured you were probably interested in the subject because of your email address, but that's really cool. Yeah I started out with lavender, cause it's one of the safest to use. Margg, I know and it's great for blends. Marlene, I've seen those, they're pretty neat. Peppermint is also great for headaches, though some people are allergic to menthol. 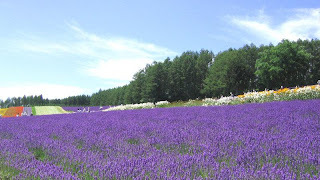 Lavender, a good smell and a flea repellant. I will have to pick me up some this weekend. Well Jerry, the good smell seems to have to grow on you, especially if you're used to chemical smells...once you get rid of every manufactured smell in your life and start using a few essential oils, your nostrils will experience a paradigm shift. Yay nostrils! Ahh, what I would give to soak in a tub of lavender right now. Oops. Was that out loud? Lavender is my fav scent! I love it in all forms. Thank you so much for this information! I love lavender. I think I'll go roll around in some.